Absinthe Sans Frontières is distilled on a farm near the French-Swiss border. All botanicals appart from anise seed are cultivated on the farm own land. This gives maximum control over cultivation, which guarantees premium quality. Sans Frontières is less complex from its recipe, instead a focus is set on the taste of wormwood. 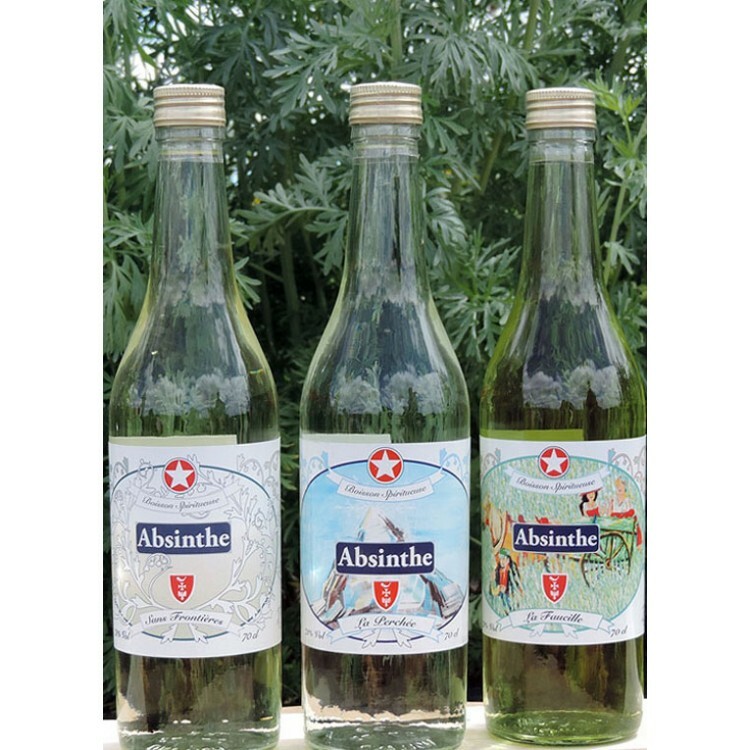 Absinthe Sans Frontières is distilled on a farm near the French-Swiss border, approximately 10km distance from Pontarlier. 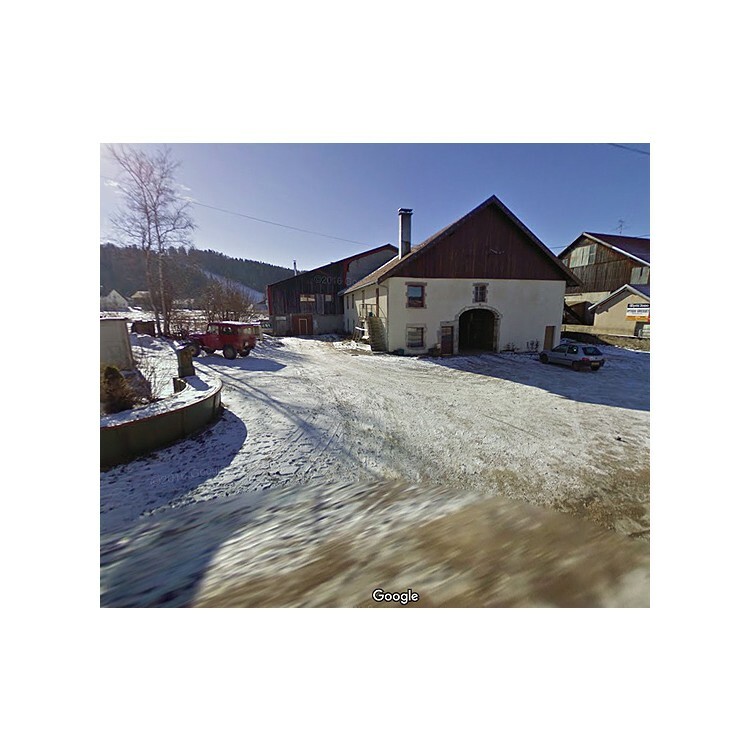 The farm is located in the small town Les Fourges, 1100m above sea level. All botanicals appart from anise seed are cultivated on the farm own land. This gives maximum control over cultivation, which guarantees premium quality. Adittionally, the altitude enhances the aroma structure of the wormwood plants. Sans Frontières is an Absinthe Superieure with 72% alc. by vol. It's rich bouquet derives from a formula dating back to the haydays of Absinthe back in the 19th century. The Absinthe is almost clear in color, as only little coloring herbs are added after distillation. Therefore La Perchées´ taste is extremly fresh without being too strong on anise. 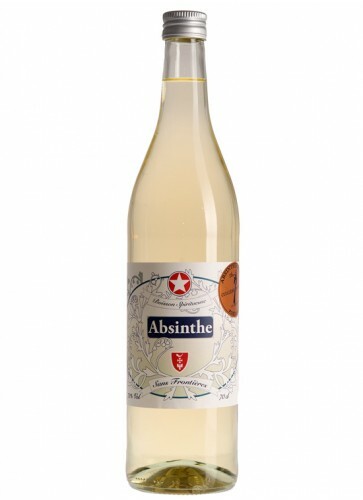 Overall this Absinthe is not too complex, instead a focus is set on the taste of wormwood. You can say the recipe is reduced to the essential ingredient of Absinthe. This is what we love! Sans Frontières should be diluted with ice-cold water in a ratio of 1:3 to 1:4. It's up to personal tasting adding a little bit of sugar. 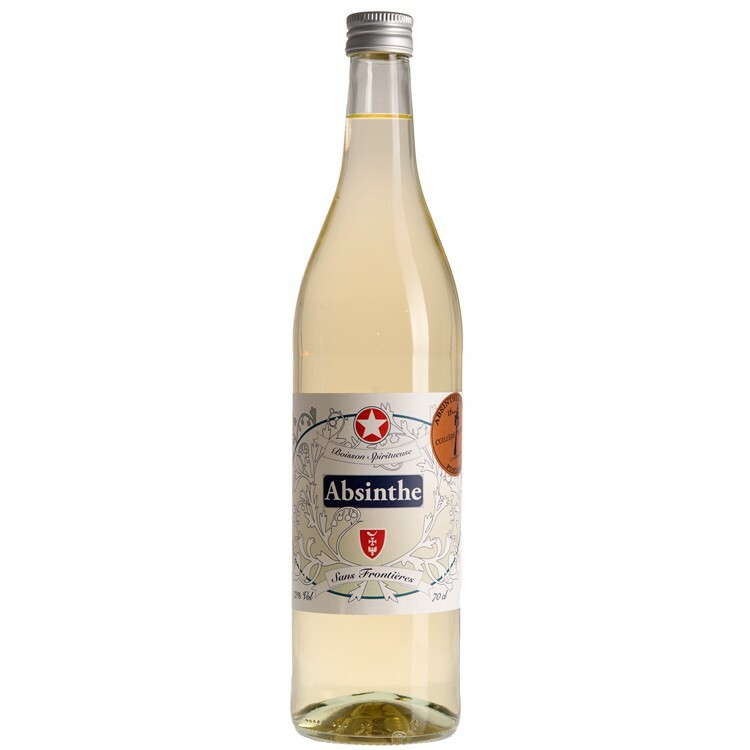 Overall this high-quality, small-batch Absinthe is the right choice if you appreciate the love and work that artisanale micro-distillers add to their products. Real wormwood (artemisia absinthium) is a tall, grooved, branched and silvery-green plant. It can grow to 0.8–1.2 metres (2 ft 7 in–3 ft 11 in) ) in height. The leaves are spirally arranged, greenish-grey above and white below, covered with silky silvery-white trichomes. The plant is rich in essential oils. If you rub some leaves between your fingers you will immediately detect it´s aroma. Real worwmood is quite bitter in taste. That´s why you should not use it as a coloration herb. It would destroy the fine structure of the distillate. For coloration other plants and wormwood species are used. Common are hysop, melissa and small wormwood (artemisia pontica). Nevertheless the coloration herbs always add a bit of flavor to the distilled Absinthe. A very smooth and clear taste is achieved by skipping the coloration process. These Absinthes are called "La Bleues" or "Blanches". We also sell them at our store. This is a close cousin to the La Faucille, which is my new favorite absinthe. See my review for it. This one is slightly more earthy and herbal.